The first time I saw pictures of Batanes, I couldn’t believe my eyes. Did such a place really exist? Weren’t the pictures edited? It couldn’t be possible that such verdant, rolling hills really existed, or that people really were so honest that mini-stores remained untended. Years later, I would learn that, yes, Batanes is really everything that people had said it was: so beautiful and so serene you’re tempted to keep all pictures to yourself, hoping against hope that by keeping its beauty to yourself, it wouldn’t be overrun by tourists and would stay beautiful forever. 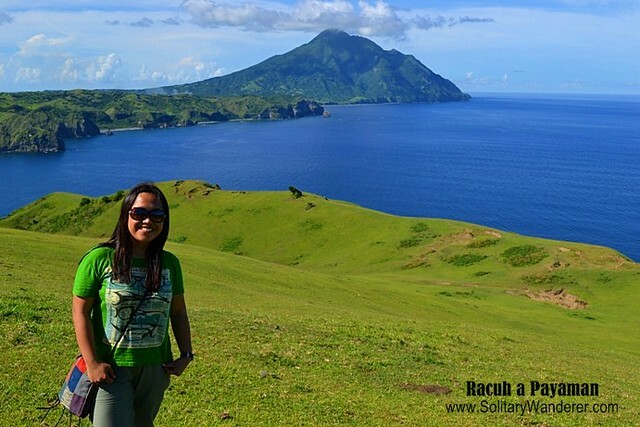 I was so happy to be in Batanes! I had wanted to go to Batanes a long time ago, but the prohibitive cost of going there left me just dreaming for a while. This smallest province of the Philippines is so far up north that it’s closer to Taiwan than to the mainland. When it’s rainy season, travelers have been known to be stranded there for days (even weeks! ), because only small airlines go that route. Airfare would cost anywhere from P10,000 to P19,000 for a return ticket, every meal costs around P300, and tour guides charge you an arm and a leg for tour packages. Fortunately, it turned out that you can do something about all these (and no, it’s not true that you can’t use your mobile phone in Batanes). Indeed, you can go there as a budget traveler, even when you go solo! 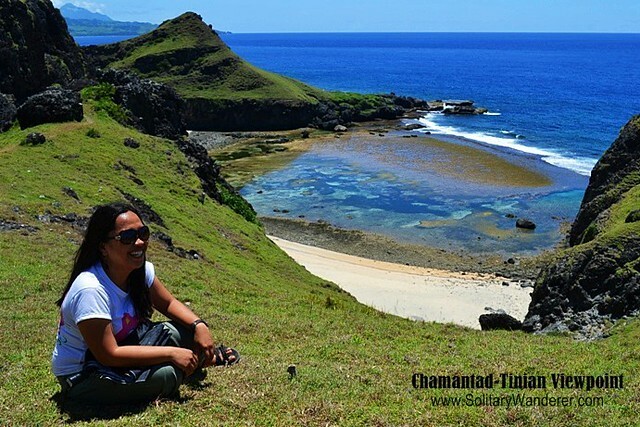 Here are my tips on traveling cheaply in Batanes. A regularly-priced return ticket to Basco can indeed be expensive. However, you can wait for seat sales; PAL Express runs one regularly. My return tickets for example, cost only P2,700, a far cry from the P12,000 that others in my tour group had paid! Aside from PAL Express, two other airlines serve the Batanes route: Skyjet and Sky Pasada, although the latter only goes to Tuguegarao, not Manila. I’m primarily a DIY solo traveler. I would prefer to go on my own pace at my own time. However, public transportation is not so convenient in Batanes. To go around the two main islands–Batan and Sabtang–you have to have a vehicle and hire a guide, which can be pretty expensive. I did what every sensible solo traveler would do; I joined a tour group. I don’t do jump shots, but in the right setting, I would! 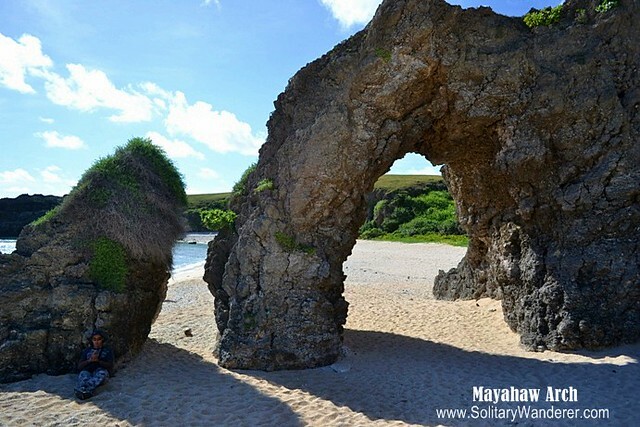 The oft-photographed Mayahaw Arch in Sabtang Island. If I had more time, I would have gone to Itbayat Island, the third major island in the province which is well known for its adventure activities like hiking, caving, and jumping off the boat into the pier! Take a look at the following video; it’s what they consider good weather in Itbayat and it’s the usual way that passengers get off the boat in Chinapoliran Port. One couple I was with during the tour was quite well-off. They stayed at Fundacion Pacita, the most expensive resort in Batanes. 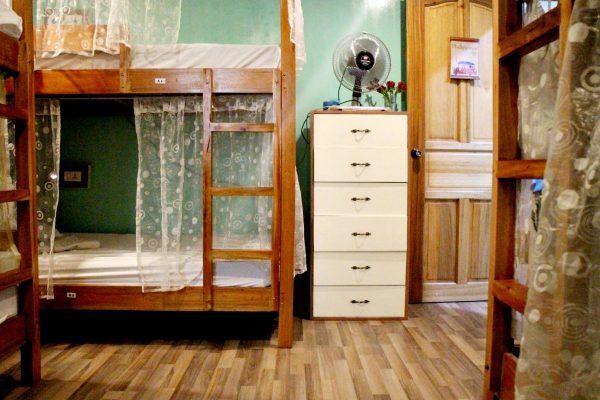 Rates start at P5,500 per day, inclusive of breakfast. Unfortunately, I’m not as well-heeled, so I stayed in a lodging house called Marfel’s Lodge. I paid P350 per day for a fan room. The best thing about it was that there were only two other guests, and we had the whole two-storey house to ourselves. We could use the kitchen, there was a dining room, a living room, and, best of all, there was a fast Wifi connection which the other resort didn’t have! Read my review of the lodging house as well as see pictures of it here: Where to Stay in Batanes–Marfel’s Lodge. Such clear views in the so-called Marlboro Country (South Batan). Food can be expensive in Batanes. If you eat out every meal that’s not covered by your tour package, it can easily set you back P300 or so for each meal. I was lucky to stay at Marfel’s Lodge because I got to use the kitchen. I usually cooked breakfast (fried egg or just cereal) and dinner (I had pasta once). Once you have taken the 3-day tour (and if you don’t want to go to Itbayat Island), the question becomes: what else can you do in Batanes? You can hire the guide to take you snorkeling for an additional P1,500, or accompany you biking around the island, for another P1,500. Or you can also do what I did; I went to the beach in Basco with a local family (the owner of Marfel’s Lodge) and swam for around an hour. Total cost: zero. The next day, I rented a bicycle from her and went biking around town with the other guests in the lodging house. Total cost for 2 hours of biking: P50. 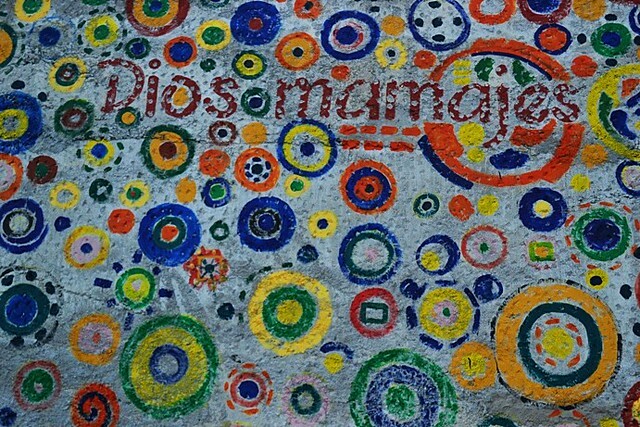 Dios mamajes, Batanes! Until next time! Curious as to how much I spent for 6 days and 5 nights in Batanes, including airfare? My total expenses was P7,800, and that included the really good massage (hilot) I had. I would definitely go back to Batanes. I just wish that next time I would do so, I would still find it as beautiful and as pristine as I had found it to be when I was there the last time. 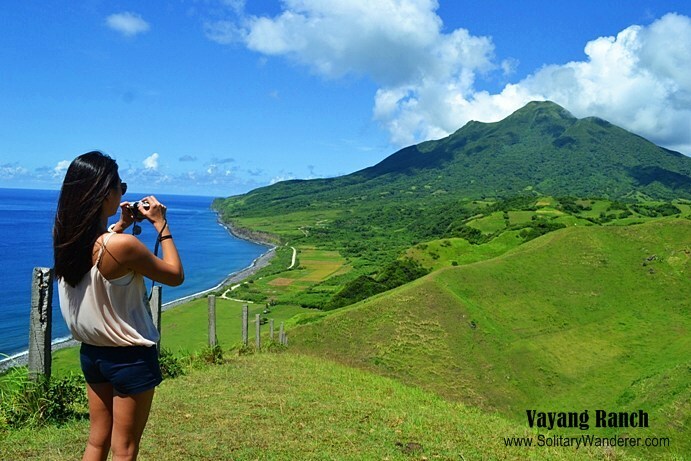 Do you find this post helpful for solo and budget travelers to Batanes? Don’t forget to Share on Facebook! Hi, I would like to know if what month usually nagkakaroon ng airfare sale, like yours. 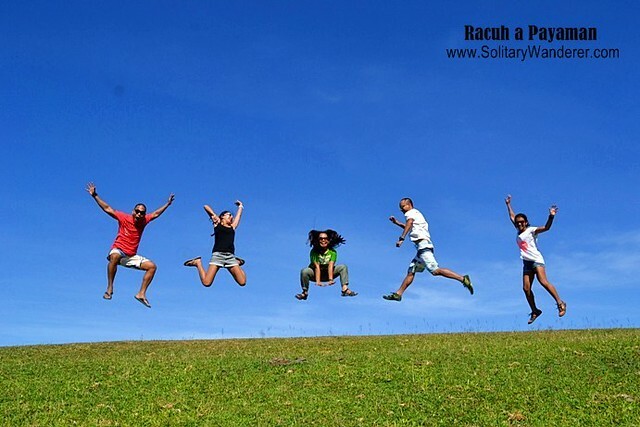 What you’ve written here are valuable tips on how to do a Batanes trip cheaply! Agree with all your tips particularly in booking for promo flights to Batanes. Regular fares are so expensive! You are indeed a traveler not a tourist. I really wanted to go to batanes. It cost you so cheap but is it applicable for a couple?Plan tlga nmin ng girlfriend ko to stay there for 3d2n. Thanks for sharing your experiences. It’ll be helpful for our trip soon. PAL has flights from Cebu-Batanes and I think AirSwift will also have soon. Chunk of the expenses goes on airfare. So, you need to keep an eye on seat sale. My piece of advice is, you register on their respective airline websites and make sure to follow all their social media accounts. 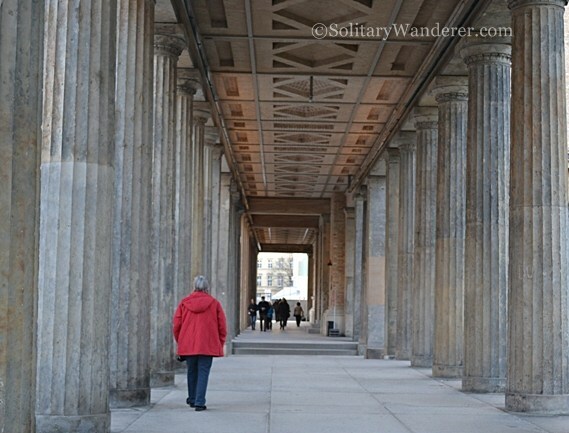 If you plan to arrange your own tour, this article is a very helpful guide, already. There is a flight from Cebu to Batanes via PAL and Airswift(soon, I guess). But you need to keep an eye on their seat sale. Just finished my trip to Batanes last Oct 12 and it was indeed breathtaking. We followed your notes and it turned out to be a successful trip. We contacted Marfel and she let us stay in her Annex unit which is a bungalow house with a garden and a cozy veranda to chat with new-found friends. Marfel also had the free bike for her gueats to use. And yes the wifi was good. There was a small honesty shop in the house and there were daily towels and sheets and room cleaning. It was really a pleasant stay. Bisumi did a good job too with the tour and the guide assigned to us and the group we joined was really fun. We all ended up to be Facebook friends. I am so glad to have followed you since 2 years ago as it helped me save so much time and money. I am planning on European tour next year so will study your notes again. Thanks a lot for all your travel the inspiration. Good luck and God bless. Batanes is also my dream destination. Hope I could visit this beautiful place before the year ends. Your points are very helpful. I was actually planning to do a solo backpacking, but then again thank you for reminding me how expensive it is to rent boats in Batanes if you’re solo. So I’ĺl just follow what you did. Marfel’s also looks good. Thank you for the recommendation. Hope I could travel to Batanes soon, now that PAL rarely do some promos to Batanes. Pero sabi nga nila, pag gusto maraming paraan. Hahaha! my friends and I are planning to visit Batanes next month. thanks for this very informative blog! how much did the tour cost you? thanks aleah for these tips. hopin’ to see batanes (one of my dream destinations) the soonest! hehe. Bad news: All the flights of SeaAir and SkyJet have been cancelled after an inspection by a European Safety team. That should make a lot of people very frustrated and/or angry. Imagine planning (and paying in advance) for the family vacation only to find out that your airline is no longer flying! I’ve heard a lot of negative things about Skyjet. I hope you get your money back. Loving that jumpshot. What camera are you using? The pictures are so clear. Thanks for the tips Aleah. I’ve been dreaming to experience Batanes. Johana, it’s really worth it going there. Hi just want to thank you for writing a book about Batanes. My family from my Mother’s side comes from Itbayat and Basco and I have a flutter while reading your post! Back when I was a kid, I was there with my mom and the places you described are so familiar. FYI Ivatans are given discount in airfares. Last time it’s a thousand off from the original price. Keep travelling and inspire others Aleah you’re doing a great job! All the best from Singapore! Hi Millet. June is the perfect month to visit Batanes, I think. Let me know how your trip will go. Safe travels! Thanks for the review! Dying to experience batanes! hi Leah. im amazed about the Rt amounting to 2700. kakainggit hehe. we’re planning to visit batanes on july. my partner already filed her leave on july 18-23, 2015. please help me where can i find cheapest fare. i already checked the airfare for 2 it cost me 23k. 🙁 help naman maam saan at when to book ng flight. Thank you. There was a seat sale by PAL 2 weeks ago! I bought a return ticket for around P6,000, flying in July. October tickets cost around P1,000. You should check PAL’s page regularly, especially during holidays, because that’s when they hold seat sales. You can also like the Visit Batanes FB page for more updates: https://www.facebook.com/VisitBatanes/ Good luck! Was there last june 2014 for 4 days. We went on getting regular fares and tour packages because we want to just make it happen. Regardless of the price you pay, it will all be worth it. For sure. See you there if there is anyone going this soon! Want to go back to visit Itbayat too! Have fun! I’m going on May 25. Looking forward to join in an open group tour. thank you for this helpful information. Cool! Say hi to Ryan and Ate Fe for me! how far is Marfel’s Lodge from the airport? Hi Che. Less than 5 minutes’ walk! Your photos made me want to go to Batanes right about now. And that’s an incredibly cheap way to do the tour. I know. I want to go back this year and explore Itbayat din. One of my dream place. Hahaha! So lucky to visit your blog about Batanes. iseset na namin to! hihi. I’ve been there also for only 3 days last year I met Ryan too who arranged my itinerary introduced by Ate Fe who manage and owned the Marfel’s Lodge. Unfortunately I did not made it to stay there bec. it was already full but she help me to find a Hometel (P500 a night). People in Batanes are courteous, friendly and trustworthy. But food was really expensive, there was only few restaurant but there are some carinderia if you want a lower price.Souvenirs were also expensive ” No Tawad “.I love the Chavayan Village, Honesty Coffee Shop the Light House near the town of Basco specially the Sunset. I hope I will return there again someday. Hi, nabasa ko story mo about batanes island. Thanks sa info. Sana mka kuha din ako ng promo before the end of Jan. Because my hiking date is feb. 4-7. Nice pics! Fantastic scenery! Batanes is one recommendable place for a vacation. Cycling is the best way to take a view of the magnificence of this place. Hi Marah! I didn’t have a mountain bike when I went there, and the bicycle we rented was not good for uphill climbs. I agree it can be a wonderful experience cycling from one town to another! Hi. Wish to go there March 2015 with sidetrip in Laoag-Vigan. Any airlines flying from Laoag to Batanes or vice versa? Not successful to contact Sky Pasada. I wish there is one so we can visit these places in one shot. No, I don’t think so. There may be a boat from Cagayan, but it highly depends on the weather. This is really helpful we’re planning to visit this dream place just waiting for the perfect seat for us! I’l take all great cheap tips you gave! great! Thanks, Nita. Batanes is very beautiful. You won’t regret going there, no matter what the cost! wow! !im really inlove with the place by just merely seeing the pictures of yours..sobrang ganda po!.plan nmin pumunta jan by april 2015 pero dahil malaki ang gastos ung ibang interested din eh ndi nlng daw sasama.pero ako dream ko tlga mkpnta kya gusto ko ipursue..tatlo plng po kaming sure na mkkpunta and the good thing is sobrang natuwa aq nang mabasa ko blog mo.as in!keri pla un gnung budget? ?lalo aq nabuhayan ng loob na ituloy ang tour sa batanes..sna magawa ko dn ung sau ms.aleah..ang mura nya promise!sana kmi dn..yung offered na packages kc going there sobrang mahal at ndi pa included dun ang airfare..sakit sa bangs! Hi Eden. Basta if you plan in advance, lalo na pagbili ng ticket, makakamura ka talaga. May new plans na ba kayo? Hi, Ms. Aleah and all the fans of Batanes! I just came back from our Batanes trip (well, it’s been a week now) and still i’m amazed with what i saw in Batanes. From NAIA to Basco Airport, from day 1 to the last day, still i cannot imagine that i was able to see the beauty of Batanes, enjoy the picturesque scenes and the kindness of Ivatans (esp. Ate Fe, Ate Edith and Ate Linda of Marfel’s Lodge and Kuya Ian, our tourguide). I am planning to go back since i wasn’t able to reach Itbayat, eat coconut crab and to see more of the island! And, i think i left my heart there. hi po..magkano ngng budget mo sa batanes?backpacker ba or under sa tour package ng agency? Hi Ike! 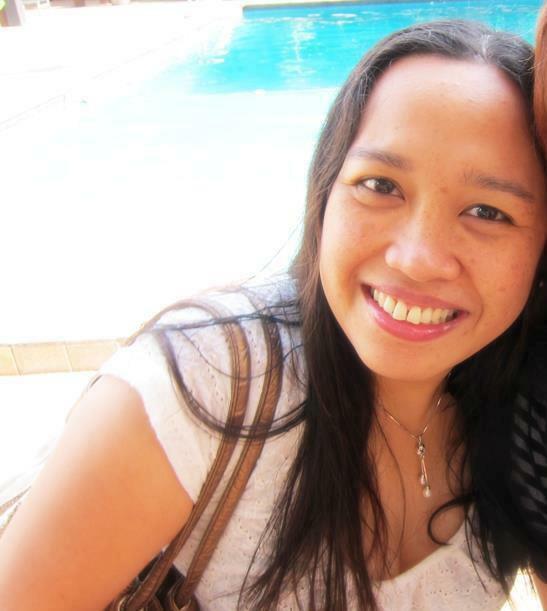 Say hi to Ate Fe for me! Her number is 0908. 893.1475. I am completely agree that Batanes is amazing place to visit because of it’s natural beauty and sea sites creates a beautiful destination for you vacation. Also for planning a budget trip these points help lot to save money for transportation and stay . Your blog is heaven-sent! I plan to go to Batanes this December on my own because I was given a free round trip ticket that will expire on that month. I heard Batanes is nice around Christmas. I have a few questions that I’d like to ask you about. Can we talk over email? I’ll visit your post every now and then to check for your reply. Hi Keisha! Just write your question/s as a new comment, and I will reply here. 🙂 You would LOVE Batanes! @ Ronald: December is good, it’s not monsoon season anymore. It’s cold there around that time as it’s winter in Batanes (yes, they have winter there). Like my FB page so you can get updates about any seat sales going there. I took PAL. Hi Ron. Like my page, and you;ll get an update when there are PAL seat sales. You can also check out PAL’s page for announcements. December is winter in Batanes! @ Janna: Do you have a ticket already? August is tricky as it’s monsoon season. I hope there won’t be a storm when you’re there. All the contact numbers of the people I mentioned are in the blog na. Please mention me to them (Ryan, Ate Fe) when you’re there. Safe travels, and enjoy Batanes! I love your blog! Ever since, I really wanted to travel alone and when I read your blog, I realized that it’s not enough that I “want” it but I have to do something to make it happen. I will be having a long vacation leave this coming August. Do you think,it’s still a good month to go to Batanes? Planning on what to do during my leave is pressuring me. I don’t want to stay home for several days doing nothing. I want also to make time for myself. Please help me reach those people who help you manage to spend less in your travel in Batanes. I’m also willing to give my personal contact details just to have regular conversation bout this matter. @ Jake: Go, go, go! @ Nadia: Sorry for the late reply! I didn’t stay in Sabtang, but yes, you can stay at a homestay there. Your itinerary is very doable. We left Sabtang in the afternoon. Nice blog, I will have it as reference. Ms. Aleah, I would like to ask did you stay a night in Sabtang Island? Me and friends will go there this June. I would like to have this itinerary: Day 1- North Batan, Day 2 Sabtang (overnight) Day 3 South Batan. Is it possible to stay a night in Sabtang? What time did the boat leave Sabtang Island going to the Ivatan port? Thank you. Gusto talaga ng misis ko na makapunta sa batanes..
ang ganda ng mga pictures mo. alangan kc ako kumuha ng tour package. Please advice us kung ano mga pweding gawin kapag nandun na kame? Gusto ko din talagang malibot ang buong batanes ng kame lang. ok lang ba yun? im planning to go there alone. this is my first trip alone. right now its just still a plan. but i will make it happen as soon as possible. @ odessa when are you planning? @ Jeric: Best is early June. No rain, no clouds! @ Odessa: Do go. It’s fantastic! I keep on reading this blog post. I hope someday I wpuld be able to go in Batanes. Anyone planning to go there? kanino po pede sumama kc solo lng aq.pra po makatipid ako. ano po b mgandang month pumunta?? Kindly look for cheap flights. Please. Begging. @ Jezza: Hope you finally get there. Batanes is really lovely! @ Mariella: Wait for seat sales so it’s much cheaper to go there. Thanks for visiting my blog and do share the posts you like! @ Derr: Early June is perfect, weather-wise. Hope you bought your ticket already! Just like you I’m dreaming to go to Batanes but with budget constraints. Atleast ngayon I can say na possible pala matupad ung dream ko. Thanks for sharing this article to us. @ Chey: Hope you do get there! gud pm. i have been wanting to go to batanes but each time i check the airlines going there, rates are very high. you said u were able to get it at P2,700? what airlines and when? please help. @ Irma: Yeah, it’s that beautiful. Plan on going there soon! @ Mangyan: Sorry for the late reply. Sabtang is really beautiful. It should not be missed. To get around all those costs, take the tour that I suggested. It’s P1,000 per day–inclusive of transportation, registration fee, and lunch. If you get hungry easily, buy chichirya. I can’t imagine where that blogger ate. That certainly was not my experience in Batanes. I bought some food there as well and the prices were normal and not that expensive. @ Chris: You really won’t regret going to Batanes. It’s fantastic! I’ll add this to my list of destinations. @ Mars: I’ve never been to Itbayat. I would love to spend a few days there, there’s just so many things you can do. @ Emma: There’s a Landbank in Basco but I suggest you bring cash. It can go down especially during payday because all government employees use it. I agree about your assessment about Pinoys and the environment. I hope we can change that. @Alex, June 20 – 24. @Mangyan – when ang flight niyo? thanks. We were able to get the PAL promo of 1455 round trip. Batanes here we come! @ Raymond: I agree. I’m hoping it won’t happen. @Raymond: oo nga, Andami na ng nag-fifeature ng Batanes sa mga travel shows. Sana ma maintain parin ang kagandahan ng lugar. @Aleah: Target ko sana by November kaso wala pa seat sale. Araw-araw ako nagchicheck. Meron sana ngayon flight is by Sept. 1 – Oct. 31, 2014 , One way. Pero wala pa ako mabook. Natry ko na lahat ng dates within that period. HUHUHU. Yes, I hope it will remain pristine. Unfortunately we Filipinos have perfected the art of making beautiful places ugly. Pag na”discover’ na ng Pinoy ang isang beautiful place, You might as well say goodbye to the beauty of that place. Should I name examples? Try Puerto Galera, Boracay, Baguio, etc., etc. Sad. Yes you’re right. Pinoys are only clean with their bodies (not all maybe) and their unclean habits were always thrown out to nature. So many beautiful places we can keep and maintain to attract tourists and create jobs but because of greed, disrespect to mother nature, destroy, attack and neglect becomes a norm for local tourists & gov’t people. I’ve been around Asia, most part of France, Italy & North America and most of the time I can’t help but sigh everytime I explore the touristic places ‘sana ganito ang pag alaga ng pinas sa mga historical places at kapaligiran’..
@ Ann Loreen Acevedo: I spent P7,800 for 6d/5n including airfare, food and accommodation, 3 days of tour, biking, and massage. How much did you spent to your Batanes trip? Me and my friends were planning to visit it too. But were doing research on how to take the cheapest way to batanes. Lol. @ Khristine: He’s always working. Say hi to Ryan for me! @ Jean Managa: To keep updated about seat sales, make sure to check out my FB page every now and then. Safe travels! @ Loremy Mark Nisola: Congrats, you even got a cheaper ticket than mine!!! will also txt your tour guide contact. hopefully he has group tours on those days. @ Cheeng: Make sure to get the cheap tickets from AirPhils. Otherwise, the tickets alone would set you back a lot of money! @ Alex: Don’t worry about having travel buddies. When you get there and get in touch with the guide, he will include you with the other people he’s touring around in Batanes. When are you going? Others here might be going the same time as well. Anyway, do you know a travel forum wherein I can find some people who’s planning some travel? Para at least may kasama ako sa biyahe, and maka meet ng ibang tao. i dream to go there and spend like you spent and probably on this coming of may 2014 thanks for your sharing this wonderful experience here in batanes i hope i can go there..
@ CZ: There’s no fixed schedule for these sales. Best thing to do is to like my FB fan page. I announce the seat sales there. @ Steph; There are direct flights coming from Manila to Basco, via Air Philippines. Regular flights can be around P9,000 but you can get tickets on sale for P1,800. i was amazed by the pictures taken in Batanes..I’m also planning to go there..but what will be the transpo and how much will it cost going to batanes since flights will only be up to tuguegarao? @ Jodl: Go go go. It’s really beautiful! @ Marie Gungob: Do like my FB fan page. I announce the seat sales there, and as you know, regular flights are very expensive in going to Batanes. @ Alex: Do like my FB fan page. I announce the seat sales there. Anyway, bookmarked your blog already! 🙂 God bless! I’m a fan of your Batanes trip. Haha. The best yang balikan na fare mo ah. 🙂 I’m planning to go there by this year. Hopefully matuloy pag nakakuha ng seat sale. @Vismarc: anong month nag sale yung airfare po? thanks. Mag isa lang ako. hahaha i do hope to meet them sa airport and hopefully sumama sa tour nila. hahaha. @ Miles: Do go. It’s wonderful! @ Son: I know some travel bloggers who are going on that day 🙂 Maybe you’ll bump into each other there. Batanes is small enough! anyone will travel this 17th to batanes? @ Onchie: As I stated in my post above, my RT ticket cost only P2,700. When PAL Express announced another sale around September, some of my readers saw my announcement on my FB page, and they were able to get a return ticket for only P1,800. Astig ‘tong post mo, very helpful since I’m also planning to have a vacation there with my girlfriend this coming summer. Parang di kasi nagadd-up eh. According kasi dun sa BCTA website, P3,000 up yung mga walk-in tours (North/South Batan;Sabtang). Hindi ka ba chinarge ni Ryan Cardona nung normal walk-in rates? I’m confused kasi katulad mo rin diskarte namin sa mga out-of-town trips, pero di ko kasi ma-weigh kung almost same lang ba gastusin kung sariling diskarte kami or we’ll go for the packages. @ Ara: Sorry for the late reply! I’m sure you’re there now. Let me know if you and Ate Fe had met up, okay? Enjoy! @ Richard: Nope. Only cargo ships go to Batanes from mainland Luzon. You can take a plane from Tuguegarao though. Skyjet (or Sky Pasada) has a flight from there going to Basco. very informative. =) ask ko lang pwede ba ang sea travel to batanes from mainland Luzon (etc… pagudpud or somewhere else) plan to travel to batanes pero mangagaling ako ng ilocos. TIA for your help. I will be going there on Nov 28 for my 23rd birthday, ALONE! Tulong naman! Ano po recent contact number ni Ate Fe? Also, yung kay Sir Ryan na contact info, pahingi naman po. My number is 09061197418. Thank you po! @Aleah Thanks for the blog. @Vismarc what dates are you exactly going to batanes this January? My friend and I will visit there on Jan4-7..
@ Julie Anne: Yes, will write it soon! @ Christine Joy: Please share this post with your friends! Shirley Fuentes, Ms. Aleah! Will be sharing your posts. 🙂 I’m looking forward to your Batanes Days 2 and 3 posts! I’ll pick up some tips from you again. @ Vismarc: Congratulations! And you’re welcome! @ Abs: I paid P3,000 but it depends on how many you are in the group. batanes is one of my dream travel destinations..may i ask how much did you spend for the 3 day tour w ryan as the guide? thanks. Hi friends! To those going to Batanes Come Jan.2014, see u all! I got my ticket at P1800 roundtrip all-in! Yahoooo! Thanks for this article, SW! @ Son: Good for you!!! @ Kris: I’ve shared my tips here. It helps when you get cheap flights! @ Jean: Say hi to Ryan for me! I was able to book a flight to batanes today for 1.7k in PAL! and this will be my very first solo flight! Thank you for this blog and i think i will be following what you did! Thanks Aleah for this great and wonderful things you shared 🙂 about Batanes. Like you, me and my buddy had been dreaming to get there for over a decade now. At least we had factual basis and realistic testimonies about such budget-friendly experience in Batanes. hi aleah, this post is very helpful. 🙂 We’re also going to Batanes this december or early January. We have yet to decide on the dates. We got travel passes worth p5,000 per person (RT) from Skyjet. I contacted Ate Fe of Marfel’s and i got an immediate reply. She’s very accomodating. @ Allan: Keep on coming back to my blog, I will have more Batanes posts soon! @ Blanca: So glad you finally found me hehe Love my photos of you, check out the other posts! My budget for airfare is 8000! 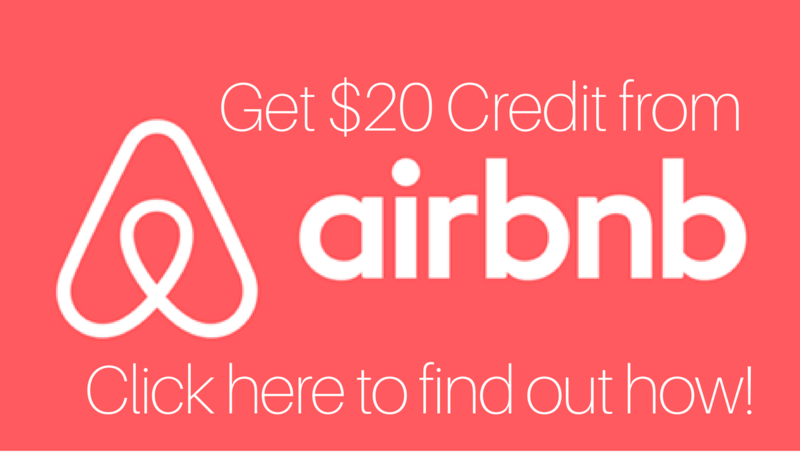 and your whole trip costs 200 less! i am so happy for you! I wish i could do that early next year (when i have my leave credits refreshed ;D). i’ll keep your blog as a guide. Thank you! I’m getting excited! @ Tek: As you can see, I always try to travel on a budget too. I don’t go on fancy trips. You can do it, once you set your mind to it. Batanes is very beautiful, hope you can check it out one day. @ Jevie: Check out also my other posts on Batanes. I still have to write about my tour in South Batan and Sabtang, but will do soon! 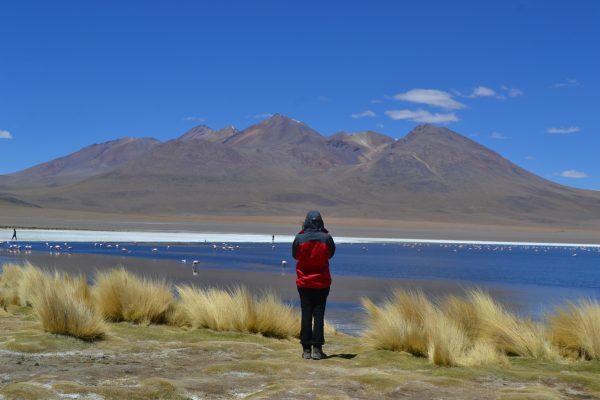 @ Minet: I was there early part of June (5-10 June), and it was the best time to go. According to the guide, up to late May the weather had not been very good. I took those photos in the afternoon (first one around 1:30pm, second one around 3pm). Everything depends on the weather! Hi aleah! I was wondering what month did u travel to batanes? You have the best pictures!!!! I love it! What time of the day did you take the first picture on this blog including your second to the last picture.. I would like to have my own shot too. 🙂 perfect color of the sky and sea. @ Dennis: Do go to Batanes when you come back to the Philippines! Got no problems with organized trips – makes sense really when several factors come into play. I’ll go back to this post since I haven’t been to Batanes. Thanks for sharing this Aleah! Never knew a place like this existed. @ Dana Carmel: It *is* an awesome place to visit. You’d love it! @ Romel: Salamatir, nong. Yalingaw ako nan basa nan imo comment. First time bagan may taga-Tandag na ga-comment, in Tandaganon pa gayod! hehe Yadi ako kuman sa Tandag, laong lagi ni Mama na madayaw na kuno an grotto. Kadtuon ko da. panagsahi da sa gud gayud ako kasugat nan taga surigao del sur na madayaw musuwat naman gusto ko lang isulti na yalipay ako na imbagat ko ini na pabyon. salamaters, ning. mapasigarbuhon gayud ako na may taga tandag na madayaw musuwat. hibawo na kaw, yaon way siwil-siwil balitaw na sinuwatan. aranga pa, ning, pagsuwat. lami na kay an tandag grotto kuman. basin gusto mo isuwat, sigurado ako katagaan mo nan lain na anggulo. I’d never heard of Batanes until now, but it looks like an awesome place to visit! Batanes is on my top Ph destinations list and with the cost, I often wonder if it will ever come true. PHP7,000+ for the entire duration of your stay is really cheap (considering it’s Batanes). it shows you, when you think creatively, you can actually have a great vacation or travel experience on a small budget, thanks for sharing these. @ Kara: That’s what I felt too, before going to Batanes. I really look forward to going back! @ Marvin Eric: Good luck! Best to go to Itbayat and experience the full power of the waves there during monsoon season haha Just be prepared to get stranded! @ Photo Cache: You will love it there! this is very helpful. i’d like to see this part of the country as well. @ KC: No, I didn’t go to Itbayat. It really looks scary! @ Jho VD: You will love it! Holy ! If that’s good weather, I’m kind’a scared what bad weather looks like. I’m guessing you didn’t experience that? Or did you? @ Kat: Yeah, it was really cheap! Hope I could buy another ticket that cheap next time. 🙂 Feel free to share this post! Hi would love to go there too.. When did you book your tour and what airlines… Maybe i could find it cheap too the way you did 😀 THANKS! Batanes sure looks like a beautiful place. It’s so green and fresh. I’m thinking of visiting the Philippines, hopefully next year. This has to be included then. @ Michi: I went there first week of June. Perfect weather! @ Gelo: It’s a photographer’s dream to be in Batanes. Super ganda, you would love it there! nice post, aleah! batanes is also my dream destination..but i need to complete my photo gear first..
Wow! That was pretty cheap. I wanted to visit Batanes but I think I will not include Itbayat. #scary. =) Do you know what is the best month to visit? Hi and thanks for the info about Batanes,By next year pag vacation ko try ko maka punta kasama si Mrs. pero duon lang kami sa mga mura. Ang importante lang nmn makita namin at ma experience ang ganda.Thanks again.